While some eateries allow you to customize certain dishes to your dietary specifications, others offer a separate vegetarian/vegan menu, and others have their vegetarian and vegan dishes clearly labeled on the menu. Regardless, you can find delicious, hearty meals you'll really enjoy sinking your teeth into when you visit one of the following restaurants! 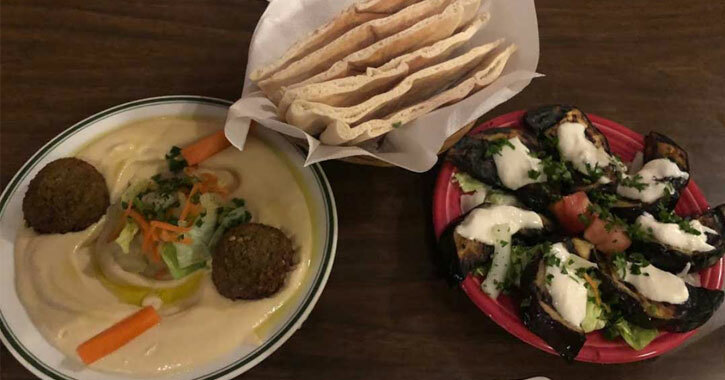 Mamoun's Restaurant has been an Albany hotspot for Mediterranean and Middle Eastern fare since the mid 1980s. 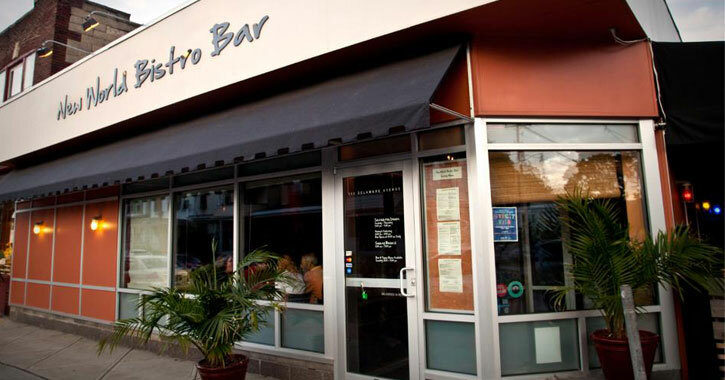 If you've never popped into this eatery on Washington Avenue you are missing out on some delicious Mediterranean fare. The menu includes serval vegetarian dishes, including pita sandwiches with eggplant or zucchini (pictured above), salads, and their staple, falafel. For the falafel, chickpeas are soaked overnight and then ground up with vegetables and seasoned with a unique falafel seasoning. They're then formed into balls to be cooked, and are typically eaten in a pita pocket topped with vegetables and a tahini sauce. 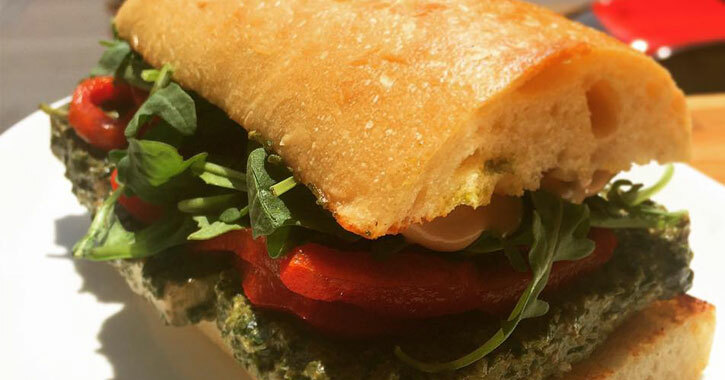 The Lark Street neighborhood has such a wide variety of restaurants and cuisine available it comes as no surprise that the area offers vegetarian and vegan fare as well! Healthy on Lark sources vegetables from regional farms so everything is fresh and local. 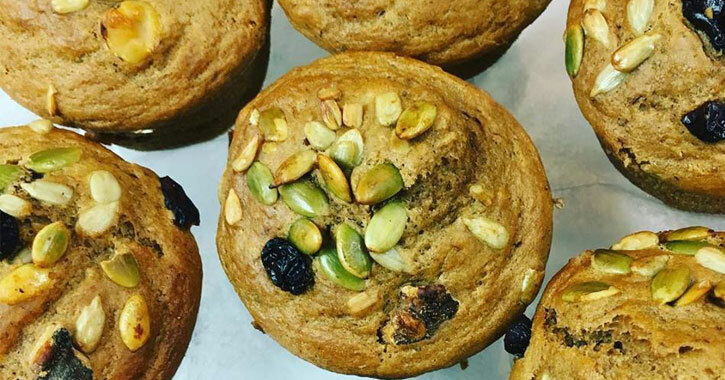 Options at Healthy on Lark include: a chickpea burger, a hummus sandwich or wrap, a vegan BLT, a bean and rice bowl, a burrito with rice and black beans, a veggie plate, and a grilled cheese with tomato, that can consist of local raw cheddar or a vegan cheese. Healthy on Lark also offers amazing house-crafted juices like the Sunset on Lark, which includes purple cabbage, carrot, apple, and ginger. The Hollow Bar + Kitchen is not only an Albany gem for great food and cocktails, but they're also a prime live music venue in the area. You can enjoy your vegetarian and vegan dishes with a delicious drink and some great tunes! The Hollow offers a number of vegetarian options on their menu, like gnocchi, eggplant stack, and beet salad, and vegan options like a Buddha bowl, with roasted-chili sweet potatoes, edamame, roasted golden beets, arugula, house-sweetened soy glaze, and pumpkin seeds. It's right in the name - Berben and Wolff's is literally a vegan delicatessen! They creatively turn classic dishes vegan to provide a huge selection and offer a different special each week. You might try a vegan Reuben, with house-made seitan pastrami, Russian dressing, sauerkraut, and swiss, or a wing burger, with a choice of buffalo or barbecue breaded fried chicken-style seitan, shredded carrot, celery, and Ranch dressing. Pearl Street Pub is a downtown Albany hotspot for great food coupled with a vibrant nightlife scene. Although they don't specify vegetarian options on their menu, they're really flexible with options and allow you to essentially customize your own dish. All salads are vegetarian to start, all burgers can be substituted with a black bean patty, and if someone wants something not on the menu, they're open to making it. While many might think of Pearl Street Pub as a great dinner place - and it is! 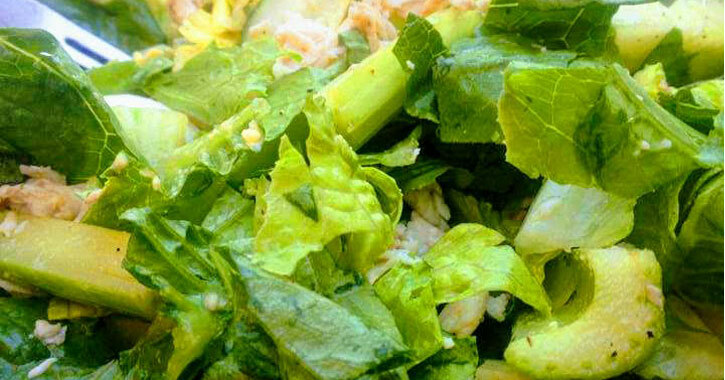 - don't discount this restaurant for lunch, because they have an amazing lunch menu that includes some really robust salads like the orchard salad, spinach salad, and Asian sesame salad. New World Bistro Bar has been nationally recognized, thanks to celebrity chef Ric Orlando and their incredible gastropub menu. They feature regional and natural meats, fresh seafood, and much more for the carnivores, as well as a variety of vegetarian and vegan options. To keep everything fresh, local, and exciting, New World Bistro Bar has a menu that changes with the season. But some vegetarian and vegan options you could come across are eggplant pakora, no crash brown rice risotto, vegan Thai-Italian love (penne with tempeh, tomato, Panang curry, coconut, and kaffir lime sauce), blue corn crusted seitan cutlets, and a variety of salads, like Vietnamese salad and Hudson Valley (baby lettuces, apples, grilled red onions, smoked walnuts, bleu cheese, and hard cider vinaigrette). 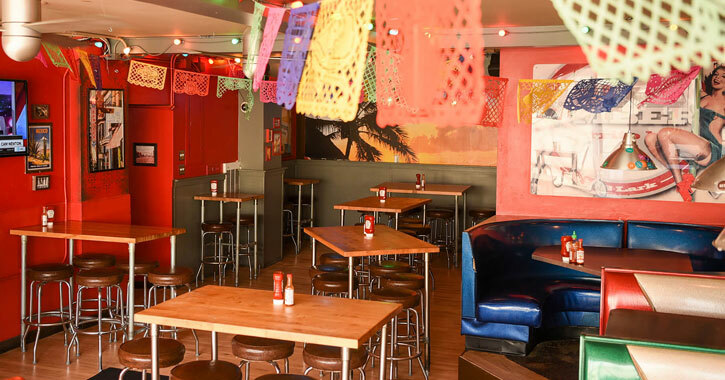 Vegetarians and vegans craving amazing Mexican food definitely need to head to Bombers Burrito Bar, which has locations in Albany and Schenectady. Try a veggie burrito or bowl with rice, beans, guacamole, sour cream, tomatoes, and salsa, or vegetable "chicken" nuggets with salsa or a barbecue sauce. Or, go for an island quesadilla with blue crumbles, pineapple chunks, and a ranchero wing sauce, or a black and blue quesadilla with a black bean burger, blue crumbles, and Chipotle Ranch. There are also quinoa bowls! For more great vegetarian Mexican food you might consider El Mariachi Mexican Restaurant. They've been serving up Mexican and Spanish fare for over 14 years, and they have an entire vegetarian section on the menu. They offer up vegetarian enchiladas, such as Enchiladas El Mariachi (corn tortillas with poblano peppers, cheese, mushrooms, and mole sauce) and Enchiladas Rancheras (spinach and cheese enchiladas with a ranchero sauce), vegetarian burritos, vegetarian fajitas, and more. Looking to dine out for a special occasion? Vegetarians should head to Angelo's 677 Prime, one of the Capital Region's most prized restaurants. 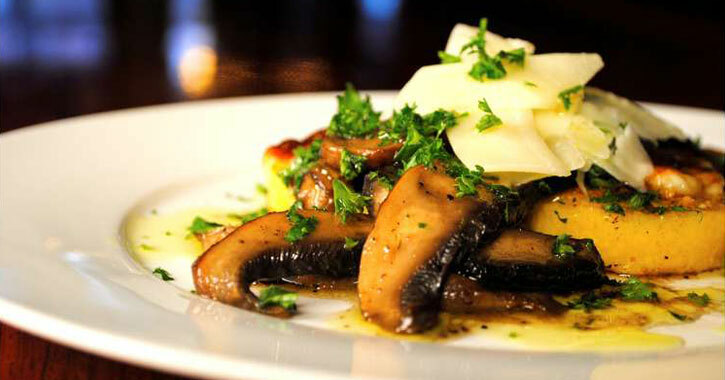 You'll only find the highest quality meals here, along with a truly extensive wine list. Although they're known as a steakhouse, Angelo's 677 Prime has a full vegetarian and gluten-free menu. You can create your own entree by combining three items from a list of 12, including: sautèed spinach, jalapeno cream corn, asparagus, cauliflower steak, truffle steak fries, and mac n' cheese. They also have entrees like burrata ravioli (truffle, mushrooms, and sherry cream) or Cappellini pasta (broccoli rabe, cherry tomato, garlic, red pepper flakes, olive oil, and basil). Cafe Madison has a vegan/vegetarian menu with some scrumptious options for both breakfast and lunch. Breakfast choices are a loaded breakfast burrito with vegetarian refried beans, tofu crumbles, and a Bayou mix with black beans, corn, tomatoes, and red onions; a breakfast sandwich with seitan maple sausage, seasoned tofu, and Daiya cheddar cheese; and French toast with house-made cinnamon swirl bread dipped in a delicious batter. Lunch options are a grilled PB&J with Saratoga maple peanut butter; a crispy buffalo sandwich with a seitan patty and house-made vegan buffalo sauce; and a tofu scram, where you can choose three side dishes like broccoli, green peppers, and grilled tomatoes.